A. Background! See the pictures of Freedom in 1940 when it was at risk all over the world! We Can Do It! Posters of World War II, by Peter Darman, Published by Metro Books in 2008. The USA hero died for others in a World War II supporting USA civility themes that included Freedom. Our society made that commitment then to the children - the children of our nation, by nature of the conflict to the Free World then, now and in the future. The USA is known for Freedom and its willingness to die for it and even a willingness to die for others’ freedom in a self interested alignment to keep war away from the “shores and our soil”. Today we gave more than 2 million soldiers guns and told them to build schools and communities to attend them. This book is a collection of posters from World War II that say it all, including the God given right to man to be Free and, man’s responsibility to a Creator, family and nation for it. 235 years after Freedom was won in America it looks different, one can only imagine how different, but for the last 60 years after World War II it has come to be about Literacy is Freedom, and the source of a nation’s democracy. Morality always was a stated prerequisite in the USA to leveraging our democracy into a republic form of government on 1, 2, 3, 4 levels. Basic morality must be in place verses laws that allow ethical splitting of hairs by those who are too smart to stand with common sense. B. Before the war started in 1941 for the USA the United States benefitted the most from the conflict. It entered the war producing more steel, aluminum, oil and motor vehicles than all the other nations put together as a civilian economy. After the war, the United States was a manufacturing colossus. C.	We produced as core assets to the war - 297,000 aircraft, 193,000 artillery pieces, 86,000 tanks, 2,000,000 trucks, 8,800 naval vessels and 87,000 landing craft and so much more. The production given to the Russian war effort was staggering. The B-29 Super Fortress along with the atomic bomb was an indicator of a vast set of resources created by profitable growth and application to innovation. D.	The pivot required to produce that was the complete voluntary dissolving of the America First Committee that gained 800,000 members in less than 15 months and a suspension of normal high end goods production because the production of war materials would be decisive if delivered in time. Promotion of freedom, security and production mobilized the United States. The promotion was recorded by posters. The civilian workforce grew from 46.5 million in 1940 to 55 million by 1945. Additionally, the American Armed Forces totaled 11 million at 1945 and farm production increased 22% in this period as the USA Citizen helped destroy the Axis war effort. I do not mean to summarize this work. Buy the book and move yourself back in time to when Freedom was at risk. Consider it at risk now from within as we forget ourselves and not pass on to our children the basic literacy, morality and responsibility to be proficient and willingly individually limit our consumption to the value we ourselves have produced. Our “Greatest Generation” really sacrificed and grew because it had the freedom and opportunity to do so. As it turns out, our opportunity is just as large but complexities require that we include 100% of our population in the opportunity otherwise the cost to carry gets in the way of the investment to grow. Our past growth makes compounding at the same rate a challenge. Paying for something not earned by productivity and proficiency is a negative to that challenge. Fact is we all know it; can feel it; and can see it in other nations that have less of an individual ethic. Bluntly put, we will have to restructure and pivot to remain free! E.	How Much Must We Restructure by Relative Comparison now that we know how strong we are when Freedom and Opportunity is focused. Common sense tells us we must, at the front of any restructuring, fairly start 100% of the individuals in the race to opportunity. Meaning no gap in ability at age 3 (or younger) or else the gap cannot be fixed and it becomes overwhelming like it is today. At $10,000 per at risk age 3 child it is less than 2 tenths of one percent of 2005 Retail Sales and Manufacturing Shipments. This is peanuts in total, if we would just do it on time like our parents showed us. Interesting that our parents were not the decision makers in making the Greatest Generation’s decisions. The promotion was to inspire those who had a lifetime to grow. The decision to promote and pivot was made by those whose life was the most interrupted and intrusively changed in the name of who is responsible for Freedom and Opportunity and the sacrifice of past generations. F.	The Growth Economic, Education, Emotions and Ethics of our Children’s Future have been derailed by perhaps too much give it forward. But our parents would scoff at that and tell us to man up to what is first things first, do it on time and right the first time. (FTFRTFT) So what is FTFRTFT? And is it true that in quality systems there is always one first things first to do? G.	FTFRTFT Defined - Every process has a FTFRTFT issue. 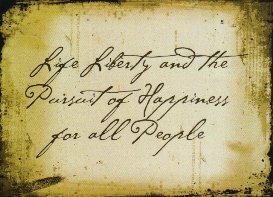 This is a discussion of replicating our liberty. Positive Expectation by the focused decision makers and then 100% coverage/delivery of the essence of Freedom, Literacy, Opportunity and Morality is first things first because we are a complicated republic. It needs to be promoted by us old folks to the young folks. Let us test ourselves. What is intrusively required as base line ingredient (FTF) of any process improvement that we want to make in our nation? Quality tells us every process improvement has one first things first issue. Without that quality, we are encouraging waste by not doing it first and not doing it on time. Our general state of creating the essence of freedom, liberty, and opportunity is that 50% of the kids are behind before they start kindergarten and 50% of those never recover, many going to early death, prison and other. Where would you invest your first dollar of government and education resources? Can finding 100% of the kids be more difficult than the pivot executed by your parents to save your future? Bottom line is there are hundreds of ways to say what was just said, but there is only one first thing first and we do not have national competition at delivering it yet. We are still the best at creating the middle class for individuals who will work at it. We also are very good at confusing its base requirement. H.	Snakes Defined – These allow us to do and fund without question that which is not first things first in our public and social life. Remember Ross Perot who would rather kill a snake with action than inactively discuss it around the camp fire of the decision makers? At least then the discussion would be about how dead was dead. Well we have become very good at talking and creating silos of efforts that never reach the bottom from the top. We are great at creating gap that by definition should never exist, but by complication of trust do. But again, common sense and positive expectations tells us there have to be far fewer snakes effecting age 0-6 than at age 6-12 and 12-18. There is another right column on this site on several pages dedicated to defining the snakes in our local effort to do first things first. Laugh when you can, apologize when you should, and double down with prayer when your life, work, family, church, community, and nation need a miracle, like now. Remember, you are free because a nation prayed and you were not even there when God's providence was requested. There is no dispute whether God answered that prayer or secular providence just made it so. Faith, Hope and Love. You and I are happy to be lucky so far, But what about the kids?